Handbells or handchimes embellishment for antiphonal reading of Psalm 51:1-13. 3 octaves, 12 bells used. 1 page. Leading reader could be the handbell choir in one or two parts (PDF has Choir Part 1 and Part 2), other vocal choir, children's group, pastor, and/or other reader. If you have trouble opening the zipped file or want a different file format, please contact Download Church Music. Reproducible. 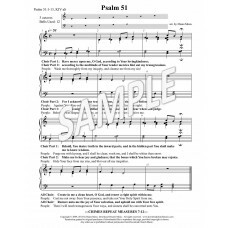 Price includes the right for original purchaser to make unlimited copies for choir and congregation. Handbells/Handchimes 3 octaves, 12 bells used. 1 page (choir part). 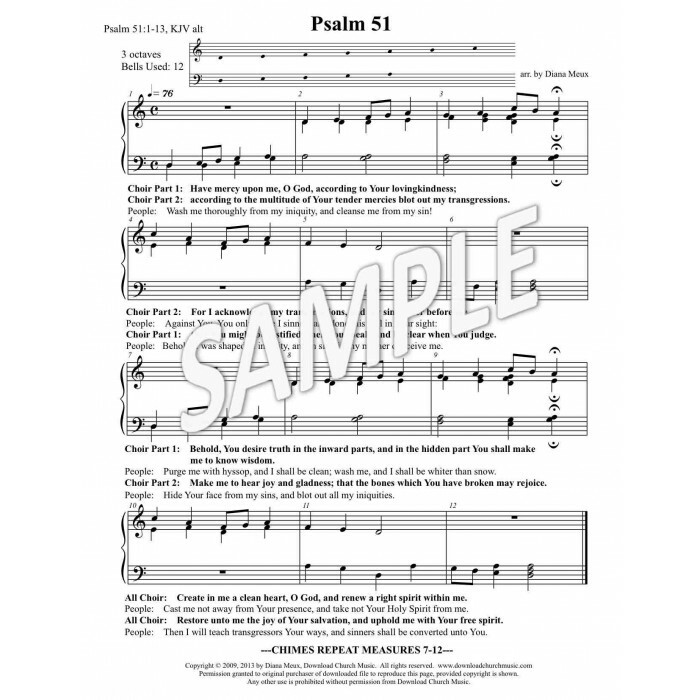 Creative Handbells or handchimes embellishment on antiphonal reading of Psalm 51:1-13.